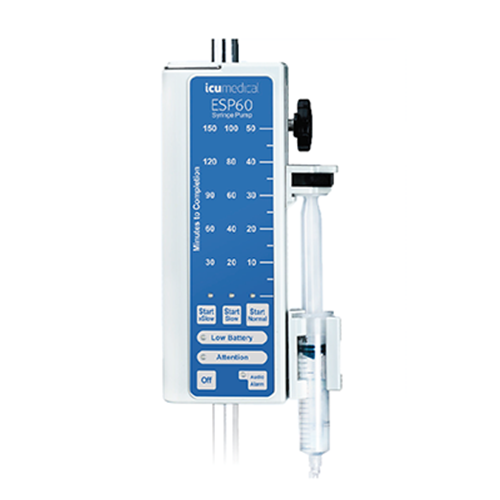 The ESP60 syringe pump is designed to help you safely and cost-effectively transfer and deliver fluids. Suitable for a range of applications, ESP60 can help your efforts to improve workflow efficiencies while accurately transferring common fluids including Muscle Relaxants, Vasopressors, Hypotensive Agents, Induction Agents, and Antibiotics. Easy to Use - Intuitive Design allows for simple operation and enhanced workflow integration. 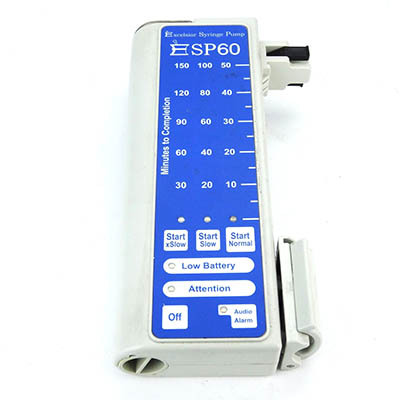 Less Expensive - Cost-effectively implement the ESP60 syringe pump for your simple syringe transfer needs. 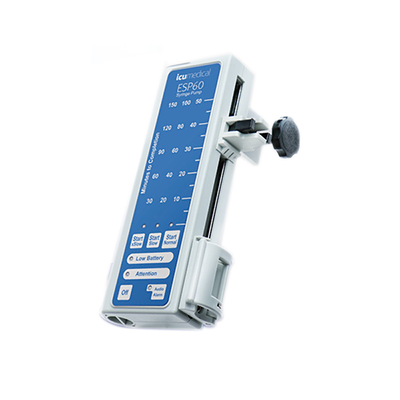 Automatic Calibration - Continuous monitoring and calibration of syringe pump speeds allows for maximum accuracy. Multiple Speeds - Maximize flexibility and efficiency with three different fluid transfer speeds. Durable - A strong outer housing and compact system design provides proven reliability under extreme usage.